Web security cameras are digital video cameras that utilize Internet Protocol or IP networking. They have built in technology that allows you to connect them to an existing Ethernet infrastructure. This makes them ideal for home or office use that already has an existing Ethernet infrastructure. One of the biggest advantages of web security cameras is that they use Internet Protocol or IP networking. Since these cameras are Internet Protocol or IP networking compatible, they can be used on the internet and can be networked using the internet as the vehicle for video data transmission. In addition, this means that cameras can be plugged into the network using standard CAT 5 cable (the same cable type used to connect computers on a network) and can be added to the network one at a time, as needed. 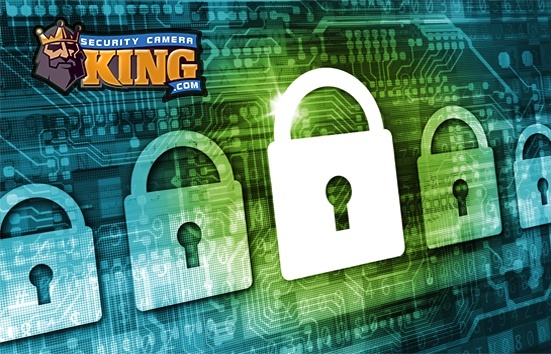 Another benefit of web security cameras is that they do not require a separate power supply line or cable. Most web security cameras utilize “Power over Ethernet” or PoE technology. PoE technology makes it possible for the camera to use the Ethernet connection for both transmitting its digital video data and receiving power to operate the camera. Most web security cameras also come with packaged software that allows you to record, monitor, and later review your video images. This makes security and surveillance monitoring even more convenient using web security cameras because you can use a personal computer to replace many of the components needed in a security camera system. A basic stand alone security camera component system consists of one to several cameras, a processor or capture board, a CODEC application, a monitor, and a digital video recorder or DVR. The digital video camera sends its video data to the processor or capture board where the data is interpreted and used to create a digital video file. The digital video file can be viewed on a monitor or stored on the dvr which is much the same as a hard disk drive on a personal computer. Storing the recorded digital video allows the user to view the video image data at a later time or save it for archival purposes. After the processor or capture board receives the video image information, it applies COmpression/DECompression or CODEC technology to reduce the size of the file while maintaining a high quality video image. A digital video is basically the same as a digital photograph however the photographs are taken at a very fast rate, up to 30 photos or frames per second. This can lead to incredibly large digital video file sizes so a CODEC helps to drastically reduce the size of the file yielding higher storage rates. A web security camera uses the same basic process to provide its digital video as a non web security camera. However, a web security camera normally uses the internet to transmit its information. In addition, a personal computer is used instead of a processor, monitor and DVR. A CODEC is still used to reduce the file size of the digital video, but it is usually implemented in the form of software or a capture board that is installed on the computer. Not all web security cameras must be connected at their point of installation by an Ethernet cable. There are wireless web security cameras that utilize the 2.8 MHz or 5.8 MHz band radio technology to transmit their video information via an on-board antenna to a receiver unit. The receiver unit then transfers the information to the internet. 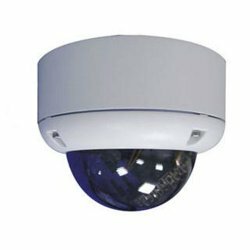 Web security cameras offer the same versatility as non-web security cameras in regard to use because of the special features technology. A web security camera also offers the convenience of easy installation and ubiquitous monitoring. Anywhere there is internet access, the web security camera can be monitored.